Keeping ourselves and our families well fed does not have to be difficult. The trick is finding easy methods to cook traditional and whole foods, conveniently. While we eat beans on a regular rotation, we eat them prepared in different ways. While I have use the phrase "cook a pot of beans weekly" routinely, it is important to explain that we don't just eat bowls of cooked beans. We do however use cooked beans for side dishes, salads and in our main dish recipes. Variety and ease of preparation always offer the best chance of remaining on budget and cooking the foods you prefer to feed your family. Sort beans removing any that are shriveled, dark in color or broken. Place beans in the bottom of the slow cooker. 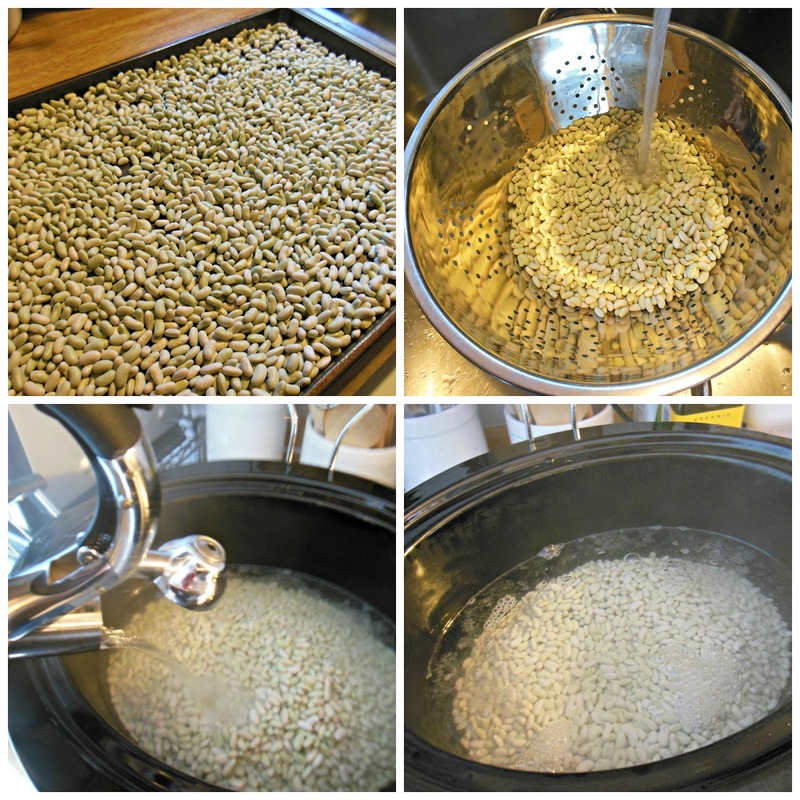 Pour boiling water over beans. Place cover on slow cooker. 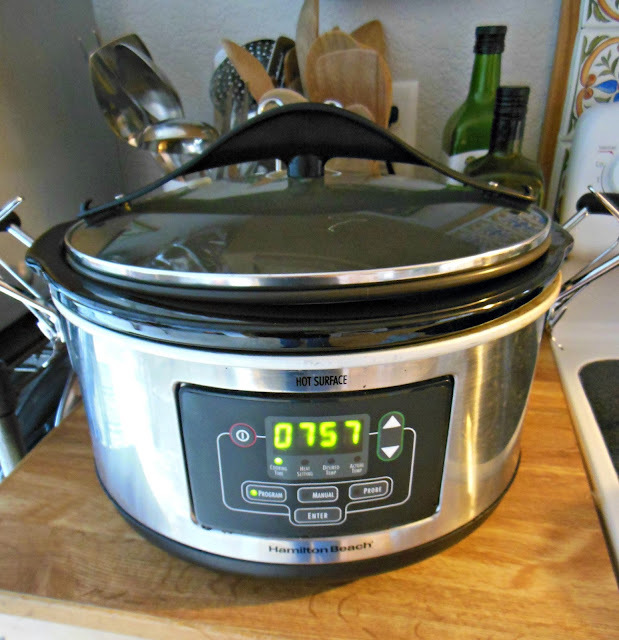 If you are new to cooking beans in your slow cooker, you may want to check the beans at the 6-hour mark. Keep in minds beans will cook differently based on age, type, and length of storage. But you really cannot do this wrong! If beans are not soft, cook a little longer. Let cook, package in freezer container with some of the cooking liquid. You now have beans ready to thaw and use as needed to feed your family well, at a fraction of the cost of canned beans. 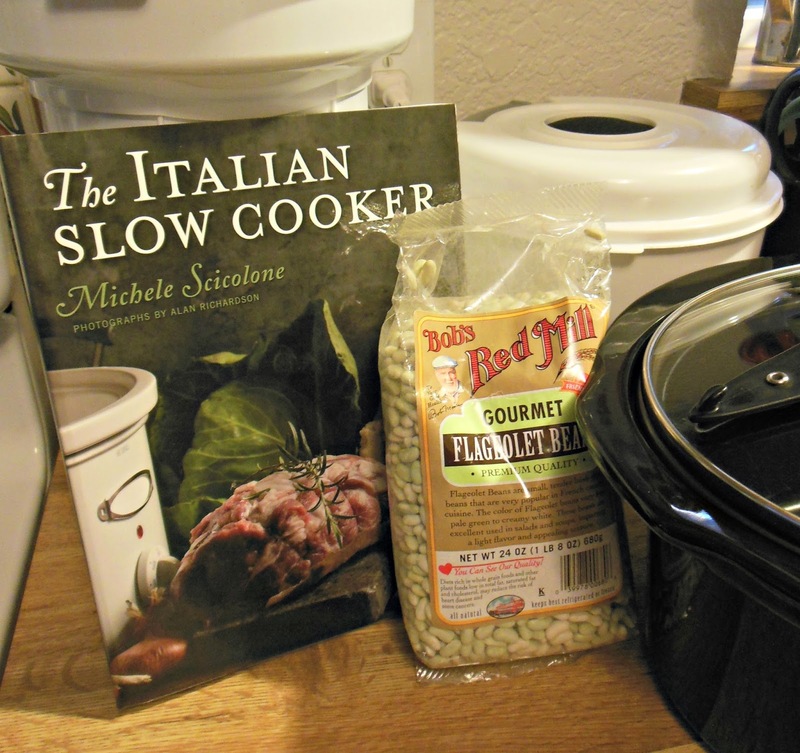 I use either the slow cooker or the pressure cooker for beans; I haven't cooked them on the old-fashioned way in years. I also make and freeze beans often. They are such a great addition to our weekly menu. Beth, I have had so many misfortunes cooking beans the old fashion way from over soaking (and forgetting...) to under cooked. Beans and I have a difficult history, but the slow cooker has really helped! Margot, I am with you, we try to eat beans regularly, I am on the look out for salad recipes to try, especially in the winter months. There is nothing better than a great pot of beans. We enjoy a pot of beans about once a week, they are a staple here at the cottage. Hope you are having a wonderful week and thanks so much for sharing with Full Plate Thursday.